Helping to bring down replacement bills and excessive cleaning costs, opt for our Mattress Protector HD. 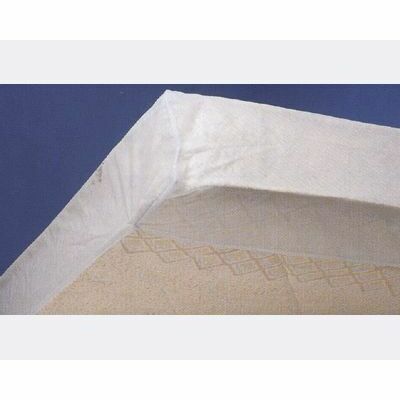 These lightweight but durable protectors fit snugly around the top and sides of your mattress, offering protection against leaks or soils. Manufactured from a PVC material, it is both water and flame proof with a comfortable smooth surface ensuring the comfortable rest of all your residents. The surface can be quickly wiped down with warm water and detergent while the entire mattress protector can also be popped in the washing machine or hand washed. The perfect option for heavy soiled environments and one that keeps the comfort and dignity of everyone at the forefront all day long. Dimensions: 6.3" x 3" x 6"
Our range of waterproof bedding has plenty of products to offer from Draw Sheets through to waterproof Pillow Cases - all at exceptional wholesale prices.